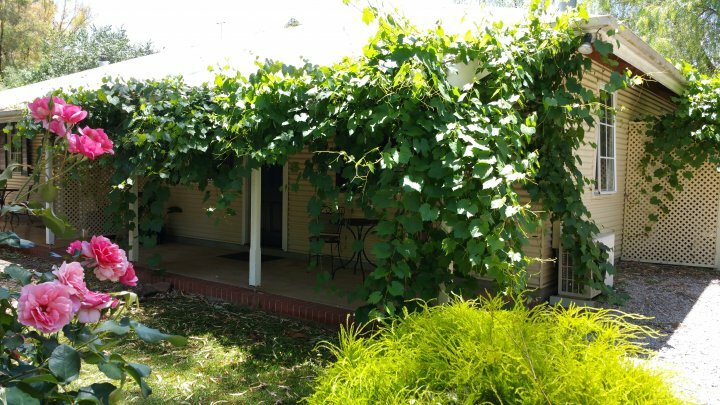 Situated in the old part of historic Auburn, Amy's House cottages are located within a short stroll to the Rising Sun Hotel and Mt Horrocks & Grossets wineries and at the start of the Riesling and Rattler bicycle and walking trails. 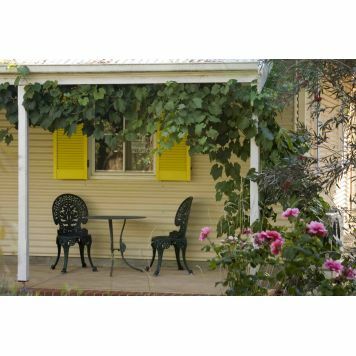 Amy's House cottages are all set in a lovely tranquil setting - a peaceful escape to the Clare Valley South Australia. 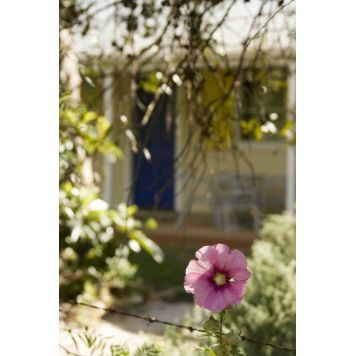 AMY'S HOUSE is a collection of superb, private, cottages that capture the natural ambience of the early Australian era. Amy's 1 is a one bedroom cottage with queen size antique brass bed, superb sitting room with slow combustion wood fire, luxury bathroom with spa by candlelight, Tuscan country kitchen, colour TV/DVD player, FOXTEL including movie channels, selection of DVD/CD's, games, books, magazines and dining area. Amy's 2 is a two bedroom cottage with 1 queen size antique brass bed & 2 single beds(or 1 king size),superb sitting room with slow combustion wood fire,luxury bathroom with spa by candlelight, Tuscan country kitchen, colour TV/DVD player, free FOXTEL Pay TV, selection of DVD/CD'S, games, books, magazines and dining area. 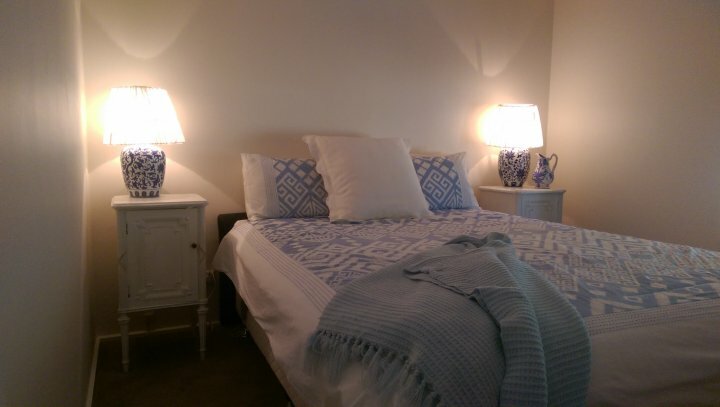 Amy's 3 is a three bedroom house with 2 queen beds in the first and second bedroom. 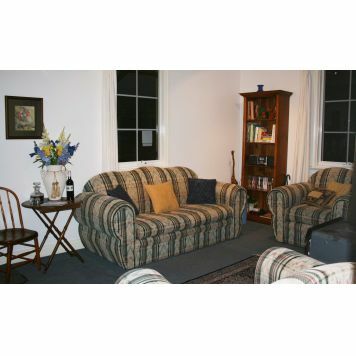 The third includes a double sofa bed and as such can be used as a reading room or a bedroom. Amy's 3 features a large living and dining areas, modern full size kitchen, bathroom with shower, laundry and an expansive garden. Free WI-FI is included with the Indulgence Package. 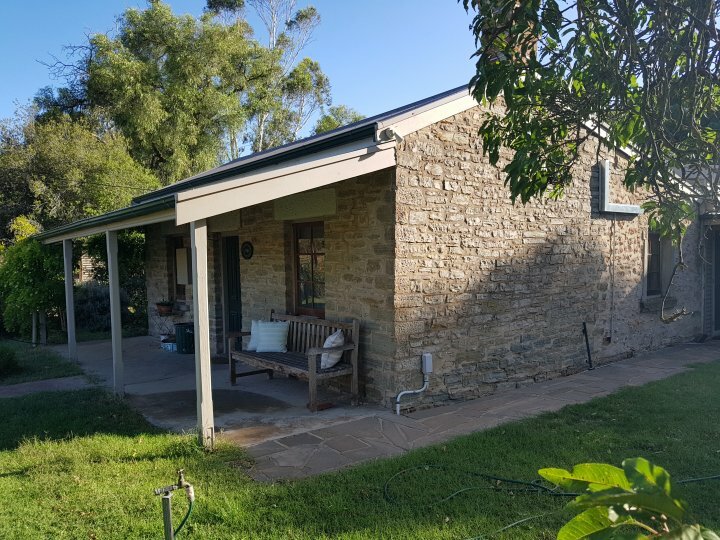 Almond Tree Cottage is a beautifully restored three bedroom cottage that oozes character and charm. 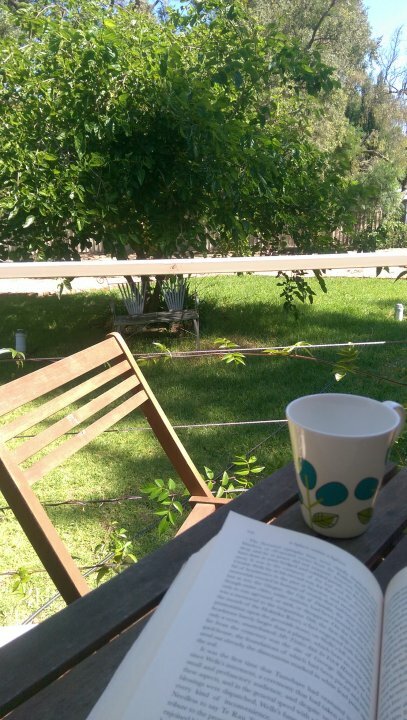 It includes two lounge area, one with wood heater, a beautiful bathroom with claw feet bath and large shower, expansive country kitchen, dining room and relaxing and attractive gardens. Laundry facilities are also available in all properties. Full amenities are provided in all facilities for a complete getaway. 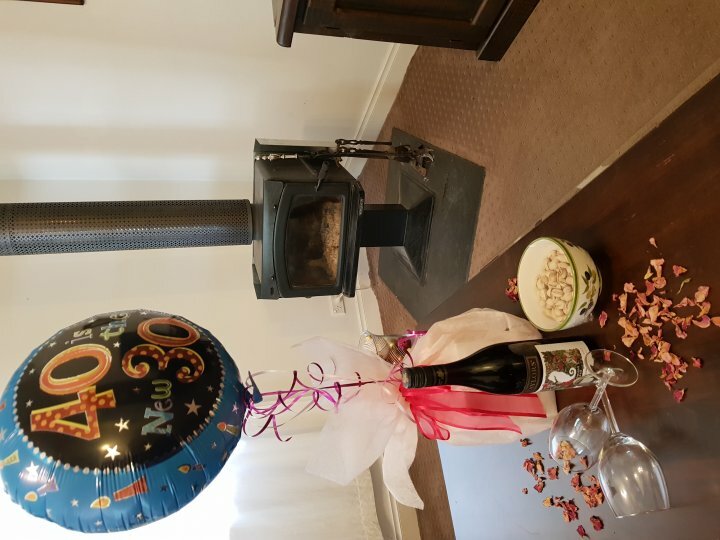 Accommodation includes provisions for a cooked breakfast including free range eggs, country smoked bacon,tomatoes and continental provisions of cereal, bread, milk, orange juice and & yoghurt and a bottle of Clare Valley wine ( 2+nights) . Discount available at Taylors Winery, 10% off at the Rising Sun Hotel, 5% off at local Pizza Shop. Enjoy a fantastic day riding on the famous Riesling and Rattler Trails. Bicycle hire available at $25 per day. 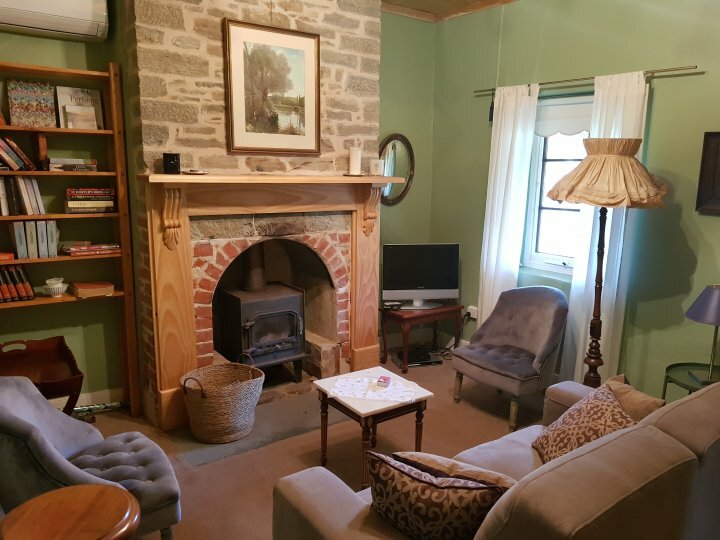 ENTIRE COTTAGE Three bedroom historic stone house. Beautifully renovated and presented. Two living areas, Large Smart TV with free Wi-Fi 2nd TV is second lounge room. Linen and bathroom amenities included. Continrntal Breakfast Provisions. Inclusions Cereals Bread, Spreads, Yoghurt, Juice, Tea/Coffee/Hot chocolate/milk . Rates are for 2. Bedding configuration is 3 exquisite double bedrooms, NETFLIX, FREE WIFI INTERNET, Expansive and fully equiped kitchen with oven, coffee machine and dishwasher. Bathroom with deep beautiful bath. Superb sitting room with slow combustion wood fire (wood optional) & split system a/c.in both living rooms and bedrooms. 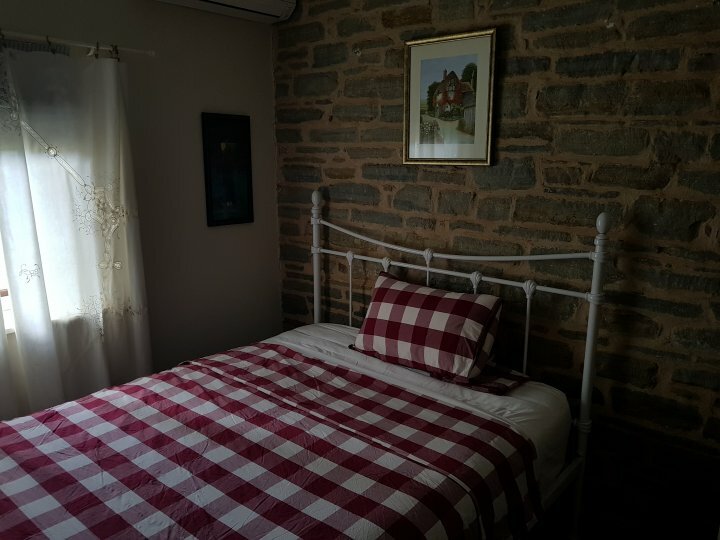 ENTIRE COTTAGE Three bedroom historic stone house. Beautifully renovated and presented. Two living areas, Large Smart TV with free Wi-Fi 2nd TV is second lounge room. Linen and bathroom amenities included. Full Breakfast Provisions. Inclusions Bacon, Bread, Cereals, Free Range Eggs, Yoghurt, Juice, Pancake Mix, Butter, Jams, Honey, Tea/Coffee/Hot chocolate/milk , Snacks, Bottle of Clare Valley Wine (for 2+night stays), Chocolates. Rates are for 2. Bedding configuration is 3 exquisite double bedrooms, NETFLIX, FREE WIFI INTERNET, Expansive and fully equiped kitchen with oven, coffee machine and dishwasher. Bathroom with deep beautiful bath. Superb sitting room with slow combustion wood fire (wood optional) & split system a/c.in both living rooms and bedrooms. Three bedroom historic stone house. Beautifully renovated and presented. Two living areas, Large Smart TV with free Wi-Fi. Linen and bathroom amenities included. Full and Continental Breakfast Provisions. 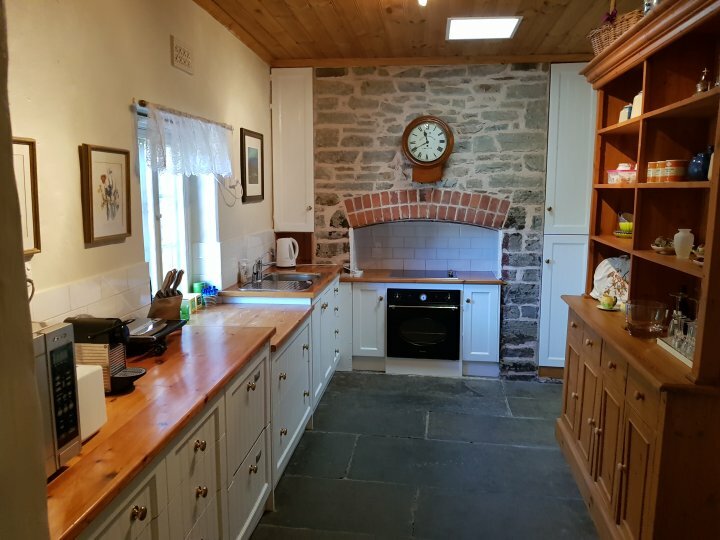 ENTIRE COTTAGE - Based on Indulgence package Three bedroom historic stone house. Beautifully renovated and presented. Two living areas, Large Smart TV with free Wi-Fi 2nd TV is second lounge room. Linen and bathroom amenities included. Full Breakfast Provisions. Inclusions Bacon, Bread, Cereals, Free Range Eggs, Yoghurt, Juice, Pancake Mix, Butter, Jams, Honey, Tea/Coffee/Hot chocolate/milk , Snacks, Bottle of Clare Valley Wine (for 2+night stays), Chocolates. Rates are for 2. Bedding configuration is 3 exquisite double bedrooms, NETFLIX, FREE WIFI INTERNET, Expansive and fully equiped kitchen with oven, coffee machine and dishwasher. Bathroom with deep beautiful bath. Superb sitting room with slow combustion wood fire (wood optional) & split system a/c.in both living rooms and bedrooms. ENTIRE COTTAGE Continental breakfast provisions. Includes Cereals, Milk, Bread, Tea/Coffee. No Firewood. Rates are for 2. Bedding configuration is 1 queen size bed + Sofa Bed for extra guests. 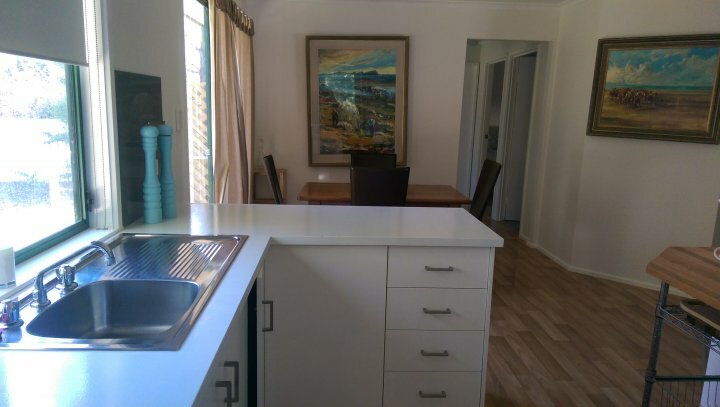 Wide Screen LCD, free FOXTEL pay TV, optional WIFI Internet, well equipped Kitchen. Bathroom with relaxing SPA bath. Superb sitting room with slow combustion wood fire & split system a/c. CONTINENTAL BREAKFAST PROVISIONS. Linen and Toiletries Supplied. ENTIRE COTTAGE Full Breakfast Provisions. Inclusions Bacon, Bread, Free Range Eggs, Yoghurt, Juice, Pancake Mix, Tea/Coffee/Hot chocolate/milk , Snacks, Bottle of Clare Valley Wine (for 2+night stays), Port and Chocolates. Rates are for 2. Bedding configuration is 1 queen size bed + Sofa Bed for extra guests. Wide Screen LCD, FOXTEL including movie channels, FREE WIFI INTERNET, well equipped Kitchenette. Bathroom with relaxing SPA bath. Superb sitting room with slow combustion wood fire (wood optional) & split system a/c. Rates are for 2. Bedding configuration is 1 queen size bed + Sofa Bed for extra guests. Wide Screen LCD, Austar, well equiped Kitchen. Bathroom with relaxing SPA bath. Superb sitting room with slow combustion wood fire & split system a/c. Please note that the free night includes accommodation only, no breakfast. Paid nights include full breakfast provisions. Full Breakfast Provisions. Inclusions Bacon, Bread, Free Range Eggs, Yoghurt, Juice, Pancake Mix, Tea/Coffee/Hot chocolate/milk , Snacks, Bottle of Clare Valley Wine (for 2+night stays), Port and Chocolates. Rates are for 2. Bedding configuration is 1 queen size bed + Sofa Bed for extra guests. Wide Screen LCD, FOXTEL including movie channels, FREE WIFI INTERNET, well equipped Kitchenette. Bathroom with relaxing SPA bath. Superb sitting room with slow combustion wood fire (wood optional) & split system a/c. 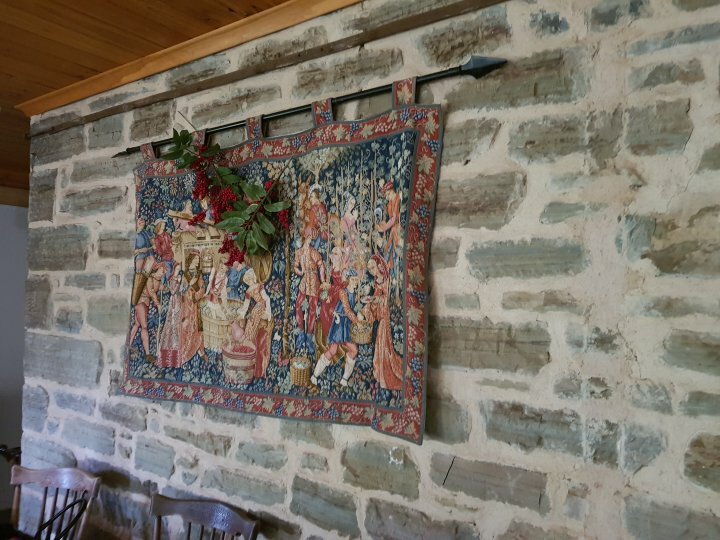 ENTIRE COTTAGE Min 3 night stay. Same inclusions as the Indulgence option. Full Breakfast Provisions. Inclusions Bacon, Bread, Free Range Eggs, Yoghurt, Orange Juice, Pancake Mix, Tea/Coffee/Hot chocolate/milk , Snacks, Bottle of Clare Valley Wine, Port and Chocolates. Rates are for 2. Bedding configuration is 1 queen size bed + Sofa Bed for extra guests. 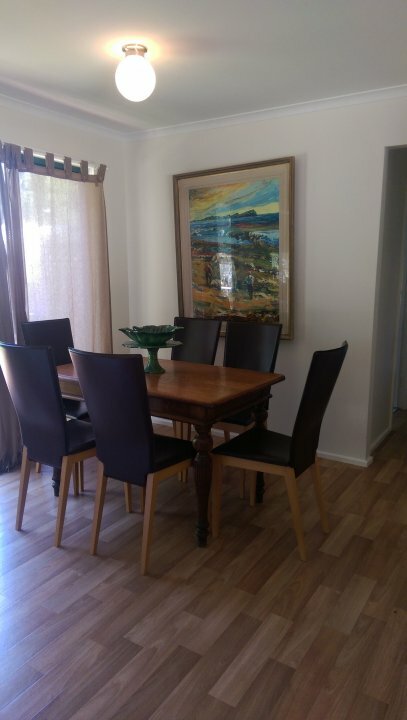 Wide Screen LCD, Foxtel pay TV including movie channels, FREE WIFI INTERNET, well equiped Kitchen. Bathroom with relaxing SPA bath. Superb sitting room with slow combustion wood fire & split system a/c. ENTIRE COTTAGE Continental breakfast provisions. Includes Cereals, Milk, Bread, Tea/Coffee No Firewood Rates are for 2. Bedding configuration is 1 queen size bed + 2 singles or King bed + Sofa Bed for extra guests (up to 6). 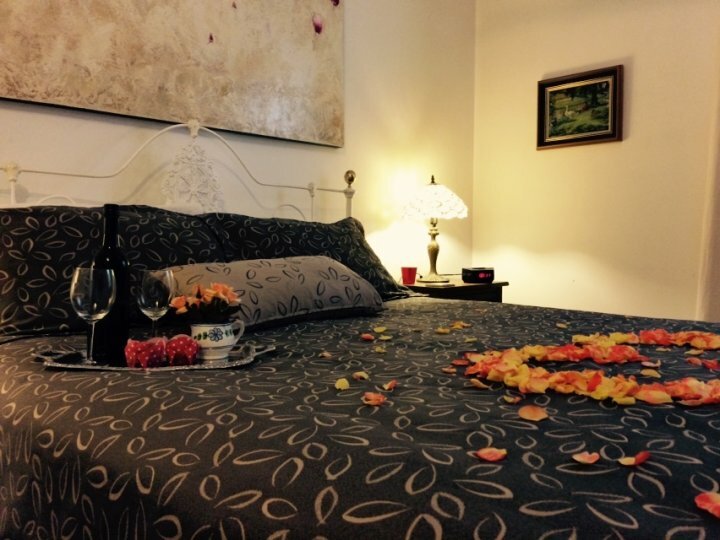 Wide Screen LCD, free FOXTEL pay TV, optional WIFI Internet, well equipped Kitchen, bathroom with relaxing SPA bath. Superb sitting room with slow combustion wood fire & split system a/c. Continental Breakfast Provisions only. ENTIRE COTTAGE Full Breakfast Provisions. Inclusions Bacon, Bread, Free Range Eggs, Yoghurt, Orange Juice, Pancake Mix, Tea/Coffee/Hot chocolate/milk , Snacks, Bottle of Clare Valley Wine (2+nights) Port and Chocolates. Rates are for 2. Bedding configuration is 1 queen size bed + 2 singles/king + Sofa Bed for extra guests. 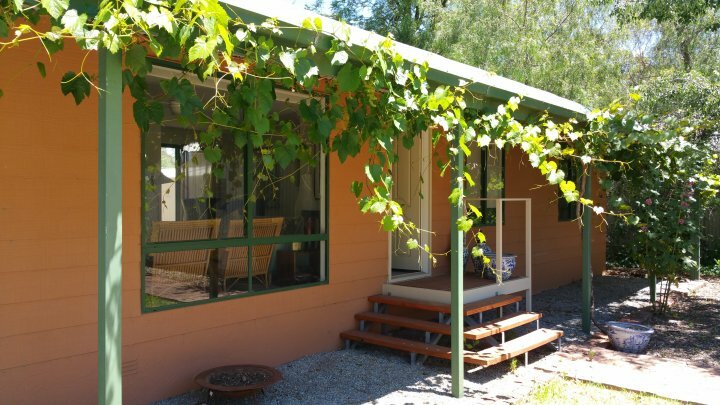 Wide Screen LCD, Austar, FREE WIFI INTERNET, well equipped Kitchen, bathroom with relaxing SPA bath. Superb sitting room with slow combustion wood fire & split system a/c. Rates are for 2. Bedding configuration is 1 queen size bed + 2 singles/king + Sofa Bed for extra guests. Wide Screen LCD, Austar, well equiped Kitchen, bathroom with relaxing SPA bath. Superb sitting room with slow combustion wood fire & split system a/c. Please note that the free night includes accommodation only, no breakfast. Paid nights include full breakfast provisions. Full Breakfast Provisions. 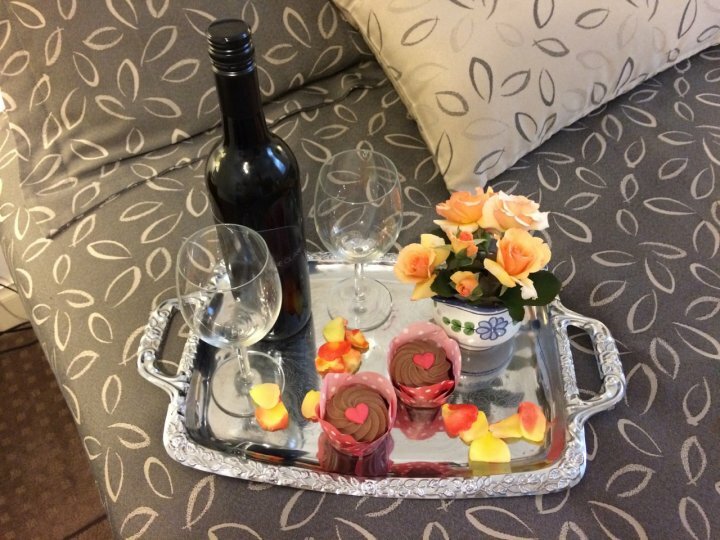 Inclusions Bacon, Bread, Free Range Eggs, Yoghurt, Orange Juice, Pancake Mix, Tea/Coffee/Hot chocolate/milk , Snacks, Bottle of Clare Valley Wine (2+nights) Port and Chocolates. Rates are for 2. Bedding configuration is 1 queen size bed + 2 singles/king + Sofa Bed for extra guests. 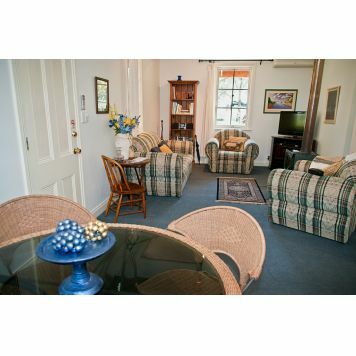 Wide Screen LCD, Austar, FREE WIFI INTERNET, well equiped Kitchen, bathroom with relaxing SPA bath. Superb sitting room with slow combustion wood fire & split system a/c. 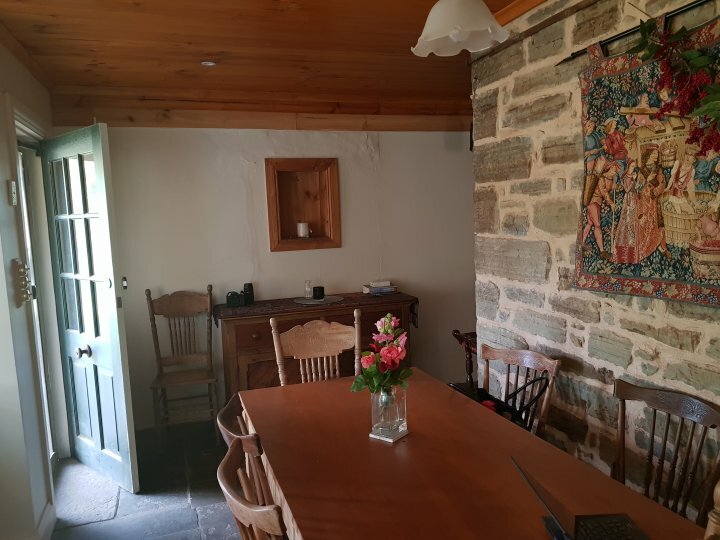 ENTIRE COTTAGE Minimum 3 night booking. Same inclusions as the Indulgence option. Full Breakfast Provisions. Inclusions Bacon, Bread, Free Range Eggs, Yoghurt, Orange Juice, Pancake Mix, Tea/Coffee/Hot chocolate/milk , Snacks, Bottle of Clare Valley Wine, Port and Chocolates. Rates are for 2. Bedding configuration is 1 queen size bed + 2 singles/king + Sofa Bed for extra guests. 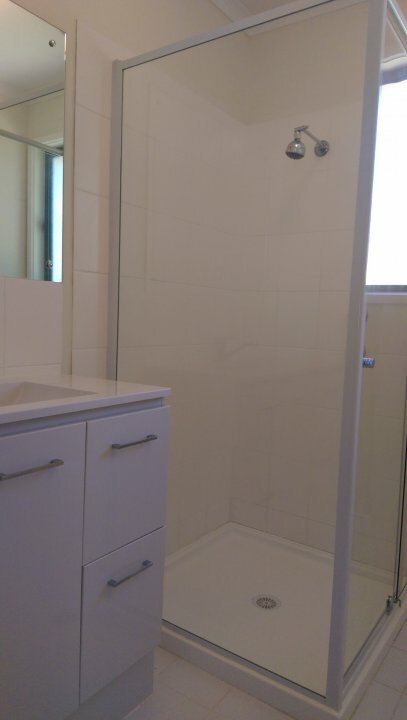 Wide Screen LCD, free FOXTEL pay TV, FREE WIFI INETRNET well equipped Kitchen, bathroom with relaxing SPA bath. Superb sitting room with slow combustion wood fire & split system a/c. ENTIRE COTTAGE Continental breakfast provisions. Includes Cereals, Milk, Bread, Tea/Coffee Rates are for 2. Bedding configuration is 2 queen size beds. Wide Screen LCD, FREE WIFI INTERNET, full size kitchen, bathroom with shower. 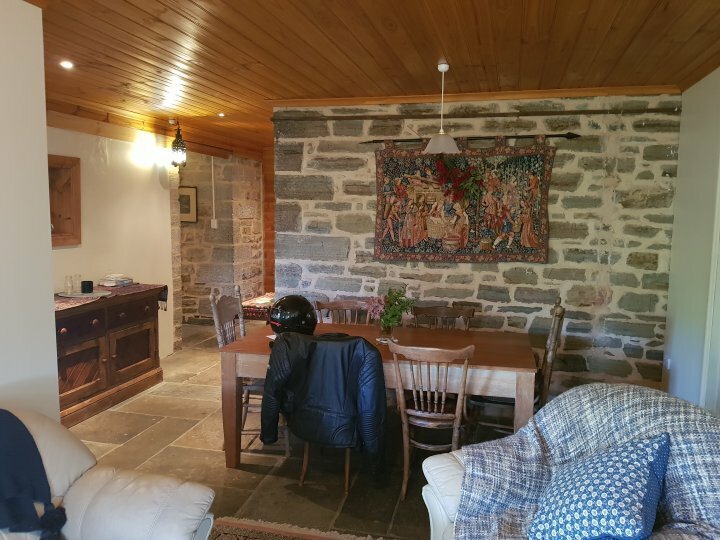 Superb aircondtioned sitting room and separate dining room. ENTIRE COTTAGE Full Breakfast Provisions. Inclusions Bacon, Bread, Free Range Eggs, Yoghurt, Orange Juice, Pancake Mix, Tea/Coffee/Hot chocolate/milk , Snacks, Bottle of Clare Valley Wine (2+nights) Port and Chocolates. Rates are for 2. Bedding configuration is 2 queen size beds. Wide Screen LCD, FREE WIFI INTERNET, full size kitchen, bathroom with shower. 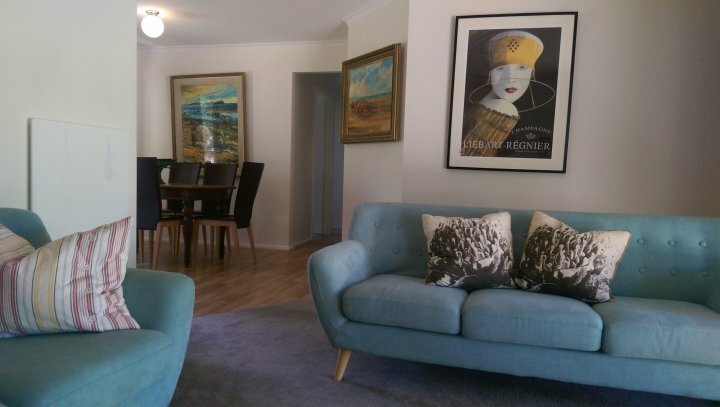 Superb airconditioned sitting room including beautiful combustion heater and separate dining room. Full Breakfast Provisions. 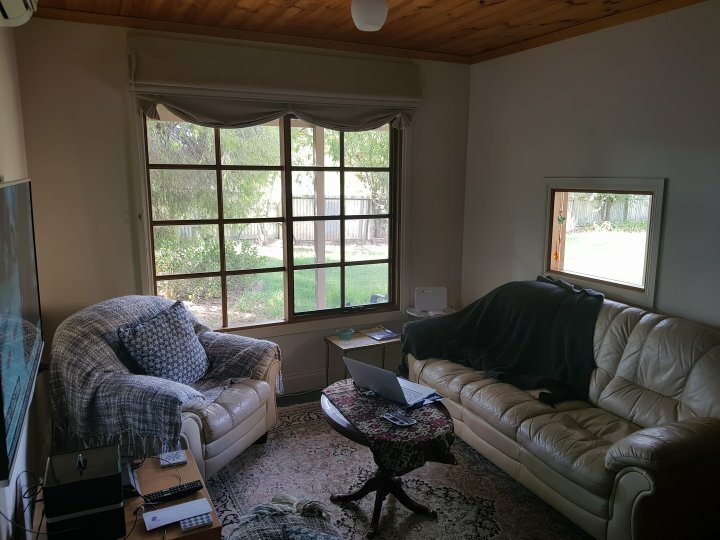 Inclusions Bacon, Bread, Free Range Eggs, Yoghurt, Orange Juice, Pancake Mix, Tea/Coffee/Hot chocolate/milk , Snacks, Bottle of Clare Valley Wine (2+nights) Port and Chocolates. Rates are for 2. Bedding configuration is 2 queen size beds. Wide Screen LCD, FREE WIFI INTERNET, full size kitchen, bathroom with shower. 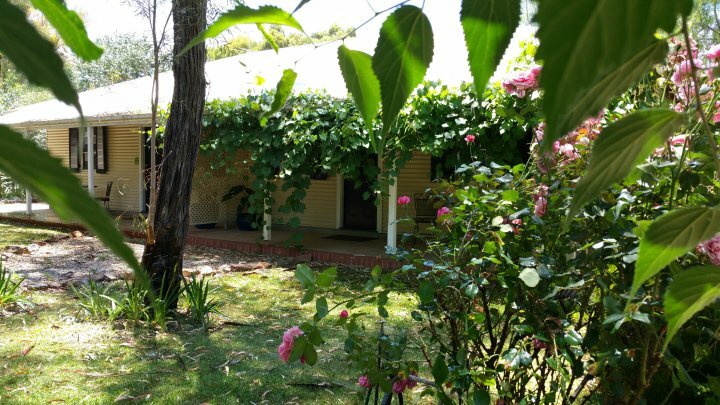 Superb airconditioned sitting room including beautiful combustion heater and separate dining room. 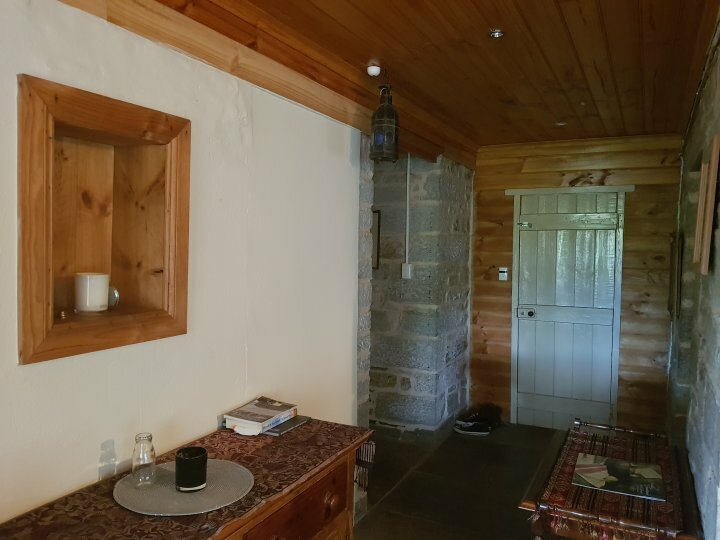 ENTIRE COTTAGE Minimum 3 night booking. Same inclusions as the Indulgence option. Full Breakfast Provisions. Inclusions Bacon, Bread, Free Range Eggs, Yoghurt, Orange Juice, Pancake Mix, Tea/Coffee/Hot chocolate/milk , Snacks, Bottle of Clare Valley Wine, Port and Chocolates. Rates are for 2. Bedding configuration is 2 queen size beds. Wide Screen LCD, FREE WIFI INTERNET, full size kitchen, bathroom with shower. 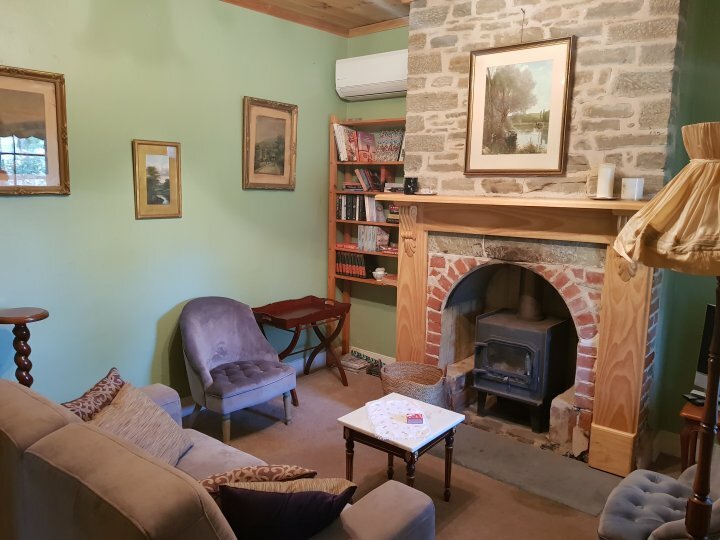 Superb aircondtioned sitting room and separate dining room. Check in is at 2pm and checkout is at 10am. Early check in and late check out may be possible depending on adjacent bookings. Can usually only confirm this on the day. Rates are quoted per couple per night. 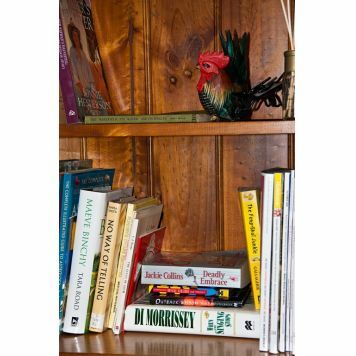 Extra adults and children can be booked in at all properties. Please call or email your request. Private off street car parking is available for all properties. Amy's 1 and 2 are located on the corner of Church street and Elder Street. Amy's 1 is accessed via Elder Street whilst Amy's 2 is accessed via Church Street. Spend your day strolling around the town appreciating the heritage buildings or visiting antique stores, tea rooms and specialty shops. Then head to the nearby wineries, historic and welcoming country pubs or outstanding restaurants. The Clare Valley provides a range of exciting trail experiences and includes three of the states top trails Heysen, Mawson & Riesling. 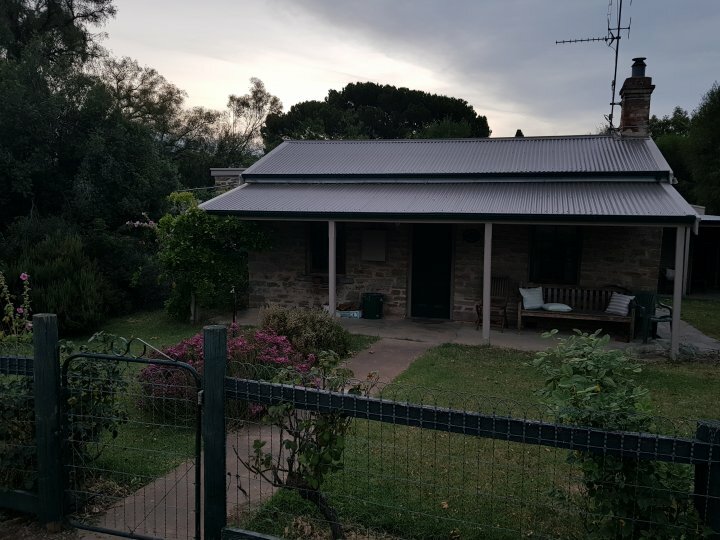 The Riesling Trail, passes right by the cottages a multi-use recreational trail for walking and cycling, which presently utilises a 34km of disused section of a former railway line. 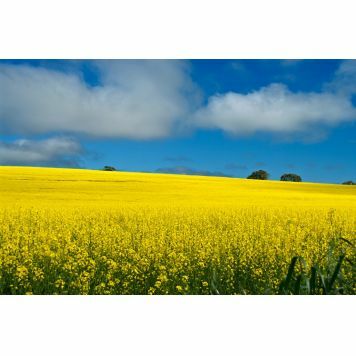 This section meanders the length of the beautiful Clare Valley wine region. We can organise mountain bikes for hire and an excellent newly established Mini Golf complex has just recently been opened nearby. - Play Mini Golf at Rices Creek 1km. Above distances are calculated from Amy's 1 and 2. 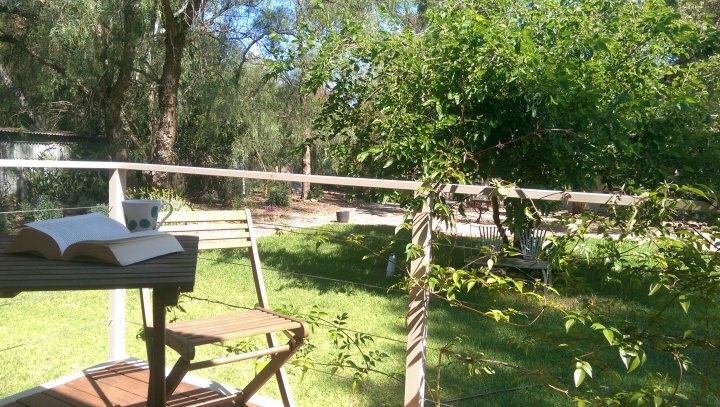 The Clare township is just 24kms from Auburn, via some of Australia's most famous wineries. Historic towns of Leasingham, Watervale, Penwortham & Sevenhill, with their rolling vineyards, are situated north of Auburn. Visit Mintaro famous for Martindale Hall, Mintaro Maze & Timandra Garden, and Geralka Rural Farm, Burra for its Monster mine & antique shops and Kapunda where you can discover our Celtic origins & visit Map the miner. 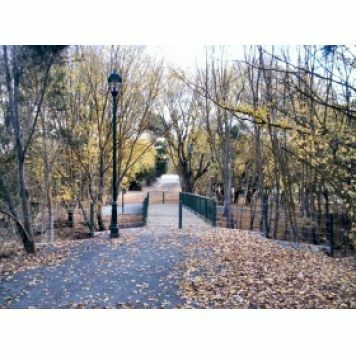 There are three conservation parks within the region Spring Gully, Martindale Hall & Redbanks all with diverse wildlife. Auburn is the ideal base to explore this lovely region.